Merry Xmas! This was our belated Holiday episode now being released in March. Hope you enjoy it! This week we discuss our favorite Holiday activities and parts of winter. Carl watches a Netflix reboot of a beloved 80's shows. Keegan suprises everyone by talking for 24 hours straight about the new Smash Bros game (jk, this episode is only an hour). Brendan visits a Barcade and plays some cool nostalgic games. 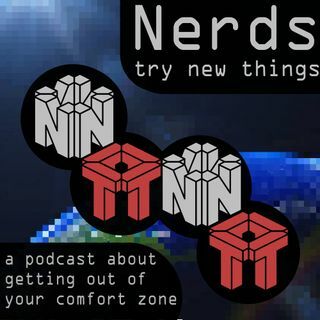 Like us @NTNTPodcast on Twitter and share us with a friend who might like us!! !